There’s currently a severe lack of both good point-and-click adventure games and deep horror titles. The Game Kitchen, an indie studio based in Spain, kills two crows with one stone as it perfectly merges classic adventure and unrelenting horror with its pixelated series The Last Door. Two years after the release of The Last Door: Collector’s Edition, we finally get to continue the nightmarish tale with The Last Door: Season 2. Compared to the second season, the first was just a tiny peek behind the veil that separates our reality from a realm of unfathomable darkness. 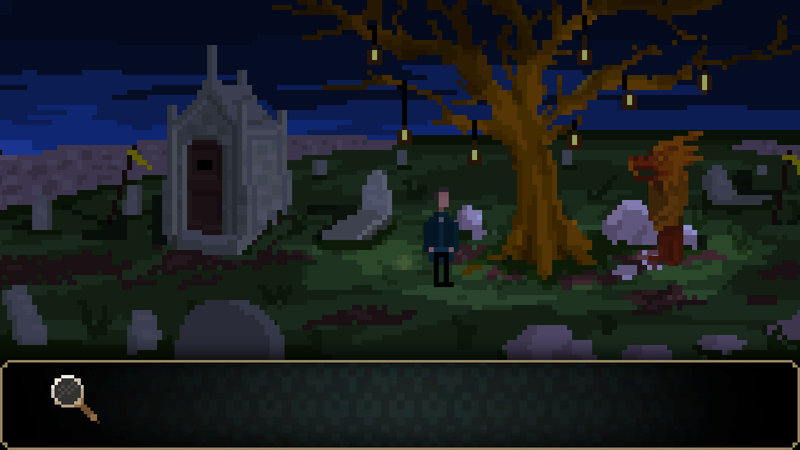 The Last Door Season 2 pulls the veil all the way back to reveal a terrifying adventure game that proves you don’t need buckets of blood, jump-scares or cutting-edge visuals to be genuinely and deeply scary. The story picks up roughly where it left off at the end of season one. Protagonist Jeremiah Devitt has disappeared, and it is up to Dr. John Wakefield, Devitt’s psychiatrist, to find out what has happened to him. Staying true to the themes of H.P. Lovecraft and Edgar Allen Poe, the story follows Wakefield’s downward spiral into madness and chaos as he uncovers the otherworldly horrors that we had only glimpsed at in the previous season. 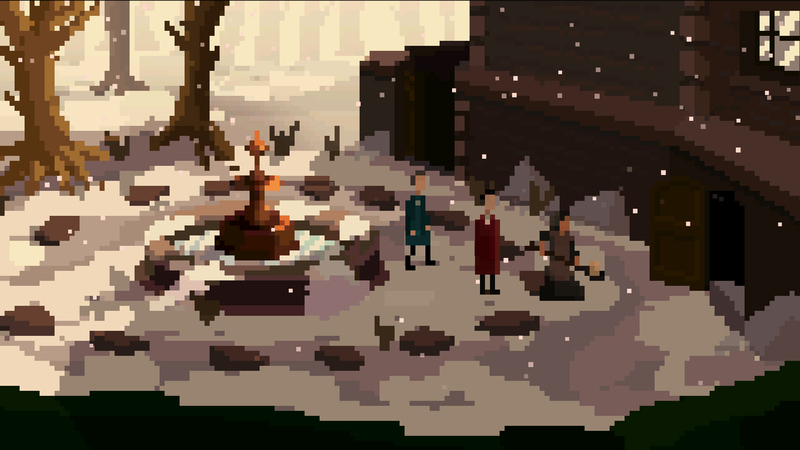 It’s a plot horror fans have followed before, in many different forms, but The Last Door manages to make it feel interesting and fresh, mostly thanks to an expertly crafted atmosphere. The game’s brand of Lovecraftian existential horror slowly creeps up on you. It never throws anything in your face, and you’ll almost never jump in your seat with fright. It’s the kind of horror that takes its time to sink in before turning you into a mess of cold sweat and incoherent mumbles. The game knows when to let you explore and when to pile on the tension with subtle cues. You’ll anticipate when something scary is about to happen, and yet somehow the scares are still effective; not many modern games manage to create such intense and disturbing atmosphere with so little. 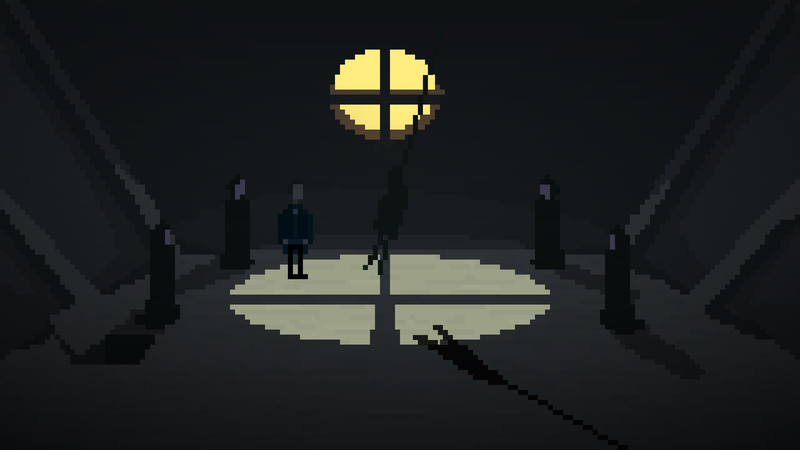 I say “little” because The Last Door is a very minimalistic and simple game; minimalistic, but not empty. It’s most obvious in the visuals, as the second season retains the “pixelated horror” visual style. It’s a known fact in the horror genre that what you don’t see is scarier than what you do. The Last Door is the perfect example. Thanks to what the game describes as “the lowest resolution ever,” you never see all the gory details and must fill in the gaps with your racing imagination. This approach is scary effective, as your mind populates every pixelated shadow with your worst nightmares. But none of this would have been possible if it weren’t for the music. 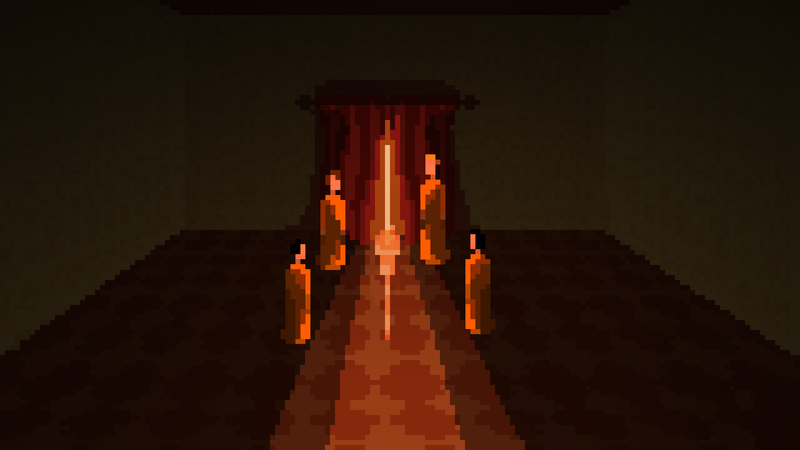 There’s no voice acting in The Last Door, apart from the occasional grunt or gasp, so it’s up to the bone-chilling soundtrack to do most of the work. The music sets the right tone for every important scene; you are sucked deeper into the low-res world the second it starts playing. I just wish there was more of it, as the game can be too quiet at times, and not in an ominous, foreboding way. The ambient noise is a little too low, and there were times I had to check my speakers to make sure that they are working. It forces you to turn the volume way up, and when you do you actually end up with a very immersive experience. The gameplay is also rather simplistic. The game is a classic point-and-click, and involves a lot of talking, picking up items and using them in the correct situation. Season 2 is actually more “game-y” in that sense; if the first season was a lot like an interactive story, where you usually further the plot by exploring down a somewhat linear path, in the second there are more puzzles to solve and people to help. Some of these puzzles are more complicated than others, but none are so complex as to halt your progress for very long. The only time I found myself truly stuck was with a puzzle that took pixel-hunting to the next level. Instead of scanning the room with my mouse, I had to make Wakefield walk to a very specific spot on the floor – a spot I had no incentive to reach since there was no item to interact with in the area. Thankfully, the rest of the puzzles are challenging for the right reasons. Not only do we have more puzzles and varied gameplay this time around, but The Last Door Season 2 is also quite a lot bigger than its predecessor. The episodes last longer and offer more environments to explore. Wakefield isn’t confined to a single location per episode, and can now move between places using a map, just like in some of the classic adventure games. The game’s more open nature affects the game’s length, which is more than double the time it took me to finish the previous season. Each episode can still be played separately, but the way the story progresses helps cement the season as one coherent piece. The second season of The Last Door is better than the first in almost every way. It keeps the same terrifying, well-written story and gripping atmosphere, and improves everything else. As a whole, The Last Door Season 2 feels more like a full-fledged game, with a beginning, a middle and an end, despite its episodic nature. Fans of the macabre and the unnerving will love The Last Door, and although many may find it disturbing, you should at least consider taking a peek behind the curtain.